For example, China is the greatest tea producing country in the world, and while that says a lot, China’s tea is further distinguished by specific geographical tea producing locations and thus the origination of the tea plant used to make their tea. All tea is derived from the Camellia Sinensis plant, so it is not the type of plant used to make the tea but where that tea plant is grown and the many other aspects of terroir that make it unique. While Camellia Sinensis is indigenous to the east and southeast regions of China, particularly the Fujian Province, the plant has traveled afar, reaching many other countries (Japan, India, etc.) and tea-producing regions within those countries. This migration has resulted in the production of numerous varieties of tea based on terroir, or a growing region’s unique growing, harvesting, and manufacturing (or processing) of the tea leaf. If we consider that there are over 20 tea-growing provinces across the Asian continent, it stands to reason that there are also vast differences in terroir, which in turn creates differences in a class of tea’s character in terms of flavor, aroma, and body. There are over 3,000 varieties of tea on the market from which to choose your favorite cup of tea. That seems quite daunting and many are confused about how to go about selecting a good quality tea. By exploring several types of tea you will begin to discern the particular flavors, aromas, and body-types that most appeal to you. 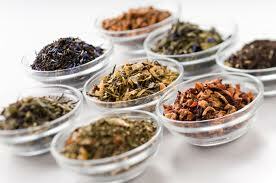 You can then branch out to try different tea varieties with those particular characteristics. If you are able to heat or boil water, you can make a great cup of tea. It’s just about that easy if you prepare tea in the western style. The Asian style of tea preparation is a unique, sometimes ceremonial way of preparing tea that many tea drinkers enjoy – even in the west. In this article, however, we’ll look at preparing tea in the western style. the length of time the tea is steeped (or brewed). A delicious cup of tea results when we use just the right proportion of tea leaf with just the right amount of water. 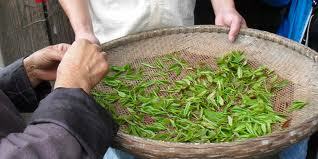 Leaf volume differs from tea to tea; some tea is fluffy and light while others are dense and compact. Hence, we must be mindful of the tea’s volume when measuring to make tea. Some types of tea require lower temperatures to bring out the best of its characteristics and heeding some guidelines will ensure that you don’t end up with a bitter or highly-astringent cup of tea. Then again, some teas require higher water temperatures to allow their best characteristics to shine. Upon measuring the correct amount of leaf and heating the water to an applicable temperature, the next variable is in the amount of steeping time required for the tea leaf. For every class of tea there is a steeping time in which the tea responds best. Both over-steeping and under-steeping tea will result in undesirable tea quality, so it’s important to get this aspect of making tea correct as well. So, in putting it all together, to prepare a great cup of tea we want to use the right temperature of water to extract an excellent balance of leaf components, such as amino acids, polyphenols, alkaloids, tannins and other compounds from the leaf by steeping for a specific amount of time. Leaf quantity: Use 1.5 standard teaspoons for 8 ounces of water; this can vary a little depending on type of leaf – bud alone or bud with leaves. Leaf quantity: for the denser bird’s beak form of tea, use 1 heaping teaspoon for 8 ounces of water; for bulky bud and leaf types use 2 heaping tablespoons. Leaf quantity: Use 1 heaping standard teaspoon for 8 ounces of water. Leaf quantity: for ball-rolled leaf use 1 standard teaspoon for 8 ounces of water; for large loose leaf use 2 to 3 standard tablespoons, depending on the size of the leaf. Steeping time: 3 to 4 minutes; note: some Oolong enthusiasts perform a brief steeping to rinse and open up the tea leaves. It’s done by steeping leaves for a couple seconds and then pouring off the water. Heated water is then added to the leaves for the required steeping time. Steeping time: this varies by leaf cut. CTC leaves typically need 2 to 3 minutes; full leaf may need up to 5 minutes. Infusions: typically steeped one time only. Brewing methods for Pu-erh are more complicated than other classes of tea, and they vary depending on type: Shou Pu-erh (ready to consume) or Sheng Pu-erh (aged). Shou Pu-erh tea can be in the form of beeng cha or in a loose-leaf form. Sheng Pu-erh is compressed into discs. Note that the Asian style of brewing Pu-erh tea is very different and more complex than the Western style, but yields an outstanding cup of Pu-erh. Leaf quantity: for loose-leaf Sheng Pu-erh use approximately 1 heaping standard teaspoon for 8 ounces of water, depending on the size of the leaf; for Sheng Pu-erh and Shou Pu-erh beeng cha use 2 to 3 standard teaspoons. Steeping time: 3 to 4 minutes; note: perform a brief steeping to rinse and open up the tea leaves. It’s done by steeping leaves for a couple seconds and then pouring off the water. Heated water is then added to the leaves for the required steeping time. 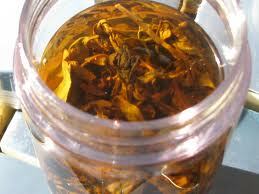 As noted, many types of tea leaves can be infused a number of times. Use your judgment of the tea’s flavor with each of the infusions; if it is no longer satisfying to you, new tea leaves are probably warranted. You may find that additional infusions require hotter water than that used in the initial steeping. As you gain experience with steeping tea, you will easily be able to determine how to alter a quantity of tea, a particular tea’s brewing temperature, or steeping time to suit your individual tastes. Additionally, tea flavor changes with each infusion and you may find that you prefer, say the second or third infusion over the first. For example, when brewing Oolong Tea, I do a quick rinse of the leaves before the first infusion but still prefer the second and third infusions over the first. (Some tea drinkers may count the infusions as the third and fourth.) I use a few seconds longer seeping time after the third infusion to coax a satisfying amount of flavor from the leaves. While all the Oolong infusions are good, and I typically enjoy about six infusions, I just happen to enjoy the aroma and flavor of the second and third brewing more on this particular tea. With six classes of tea from which to choose, you are sure to find at least a couple varieties that appeal to you most. The important thing is that you enjoy your tea, and if you don’t feel you’ve coaxed the best flavor from your tea leaves, adjust the variables to make the perfect cup of tea in any class!